The US Geological Survey has reported that the east coast of the US, notably the shorelines running from North Carolina to Boston, is a ‘hot spot’ for rising sea levels and symptoms of climate change that include rapid geological change, such as the swamping of farm lands and eroding beaches. The report, which was published by USA Today, said that within the next 50 years, the coasts of the Mid-Atlantic will dramatically change. In addition to the physical damage to the country, there is also the economic cost. Holding back the ocean will cost billions of dollars and huge amounts of energy as the government is forced to pick and choose where to fortify borders against the rising sea levels. The report stated that the rising sea-levels would, of course, be caused by vast amounts of carbon dioxide and similar heat-trapping gases from power plants melting glaciers and land ice. By 2100, the global sea levels could potentially rise by one and a half feet. However, for the east coast the change could be even more dramatic. According to the Department of Natural Resources and Environmental Control and other federal and science agencies, the sea levels along the Delaware, Maryland, Virginia and New Jersey coasts could rise by as much as 5 feet by the end of the century. Collin P. O’Mara, secretary of Delaware’s Department of Natural Resources and Environmental Control said that Delaware, in particular, is “extremely vulnerable”. 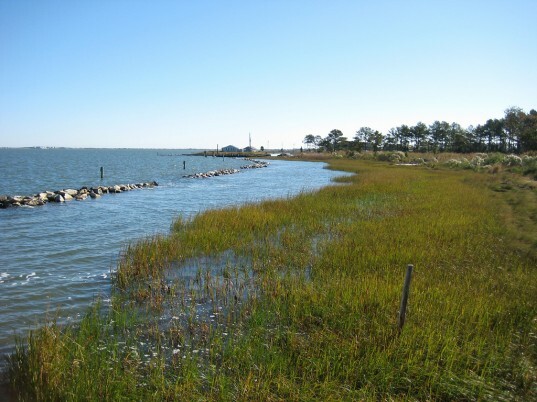 State officials there and in Maryland have said that they recognize the danger inherent in sea level rise and are evolving plans for dealing with it. However, North Carolina’s lawmakers seem content to bury their heads in the sand and have approved a plan banning all consideration of sea level rise based on climate change for development decisions. The US Geological Survey has reported that the east coast of the US, notably the shorelines running from North Carolina to Boston, is a 'hot spot' for rising sea levels and symptoms of climate change that include rapid geological change, such as the swamping of farm lands and eroding beaches. The report, which was published by USA Today, said that within the next 50 years, the coasts of the Mid-Atlantic will dramatically change.